The everyday palette - Blank Canvas Master series one. So it's been a bit of a manic two weeks. Yesterday I had an operation which I was meant to be having on Friday but it has all been very rushed. Today I just thought I would ease back into it with a review. This palette is one I reach for so regularly as it is just a perfect day to day palette, it contains eleven matte shades and one shimmery lid shade making it perfect for anyone who wants a more natural look on the eyes. 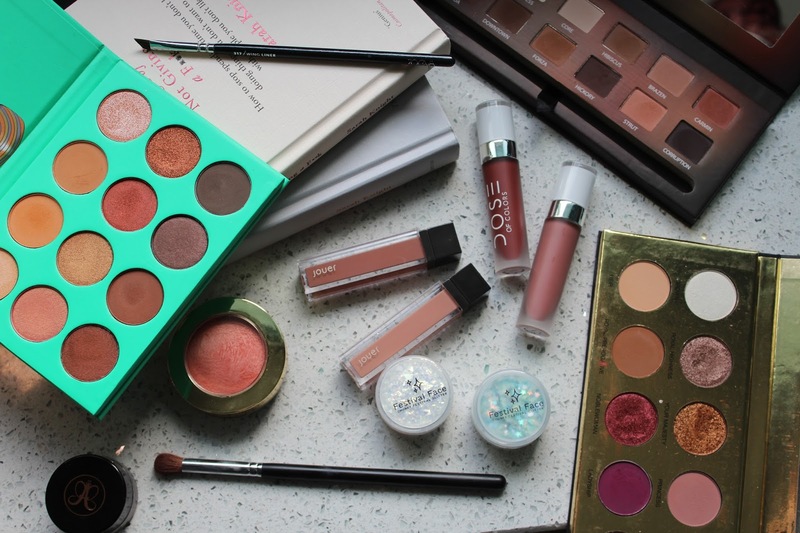 It also works really well as a palette to use as a base alongside a brighter palette as it has all the transitions, highlighters and crease shades you would want. The palette also comes with a beautiful double ended brush with a flat shadow shade and a fluffy blending brush. This is such a lovely quality brush and is one I reach for even now which isn't something I usually do with brushes I get with palettes. So without further ado, lets get into the shades. Lily - A true really highly pigmented matte white perfect for the brow bone. Goddess - A very pale highly shimmery gold shade. Core - For me this very pale taupe makes the perfect all over shade to set my primer however I feel like it is one would work better on paler skin tones as it may look ashy on darker skin tones. Hibiscus - A more neutral matte medium toned brown. Brazen - A warm toned light brown, this one fore me is my go to transition in the palette. Carmin - A very terracotta red shade which looks beautiful in the crease and outer V.
Cocoa - A very deep warm toned shade with red undertones. Downtown - A slightly purple red toned deep brown. Forza - A camel brown shade which is another great crease shade. Hickory - This is slightly lighter and less red toned than Downtown. Strut - A peachy brown shade which is another really lovely transition. Corruption - A dark charcoal brown shade. 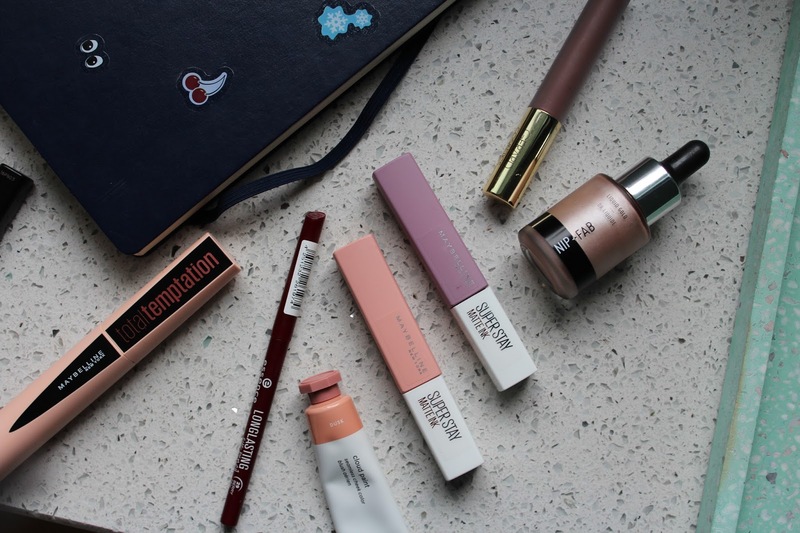 Crazy bright lips - Where to spend and where to stop. 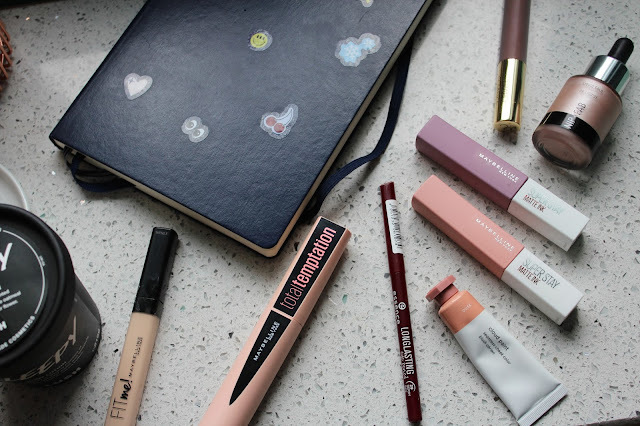 I am a big fan of weird lip colours, so today I thought I would talk you through some of the products I love and one that I don't love so much for a crazy coloured bright lip. Jeffree Star has a huge range of crazy coloured lipsticks and I love them. Two of my favourites are definitely Crocodile tears which is a gorgeous deep green and Blue velvet which is a stunning blue shade. 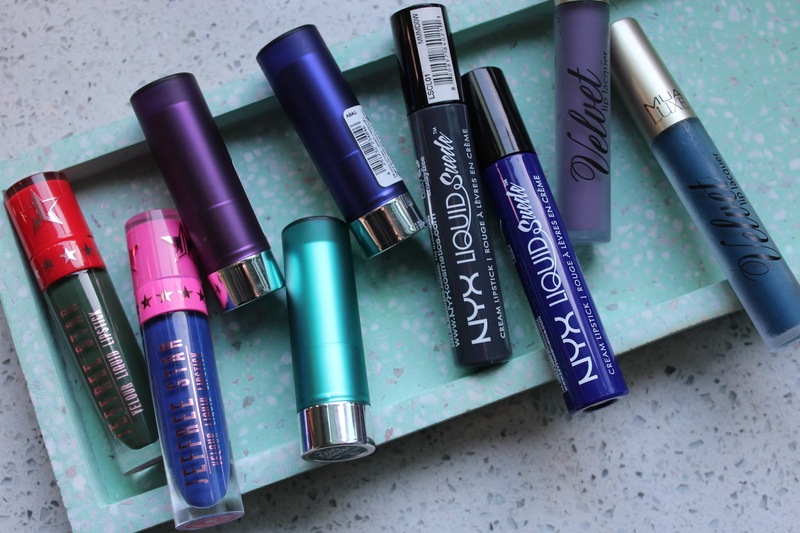 These lipsticks are incredibly easy to wear and very comfortable on the lips. I find that they are very rarely streaky and are just one of my favourites for crazy lip colours. The Essence vibrant shock lipsticks are brilliant for if you are on a budget. The shade selection is very limited however if you want to try a crazy coloured lip then its a really good one to try. 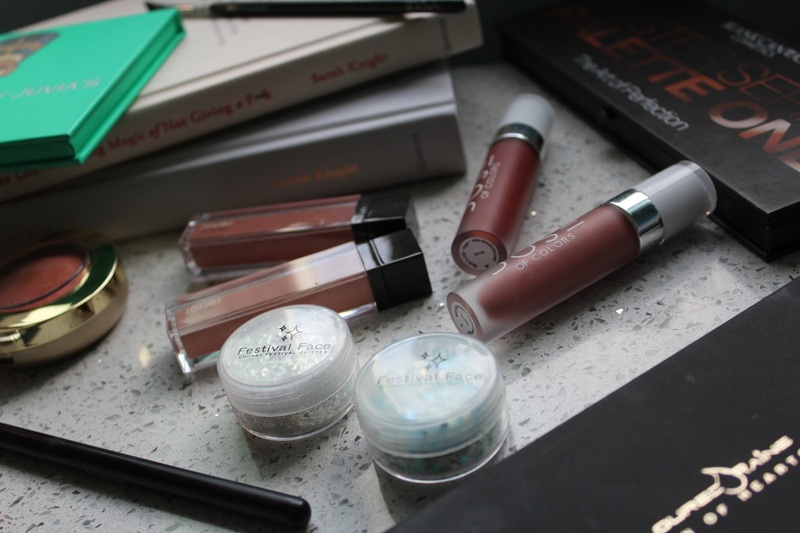 These are incredibly pigmented and sit comfortably they aren't quite as opaque as a liquid lip. These are definitely one I would recommend them if you were on a budget. The NYX Liquid suedes are a good choice if you do want something incredibly opaque but are on a budget. The only thing I worry about these is the that they don't set down completely matte, therefore there is always the risk that they are going to end up all over the face. They do set down to a slight satin finish and are long lasting it's just the initial glossiness. I love the shade Stone fox which is a grey toned brown and it's actually one I wear a lot. 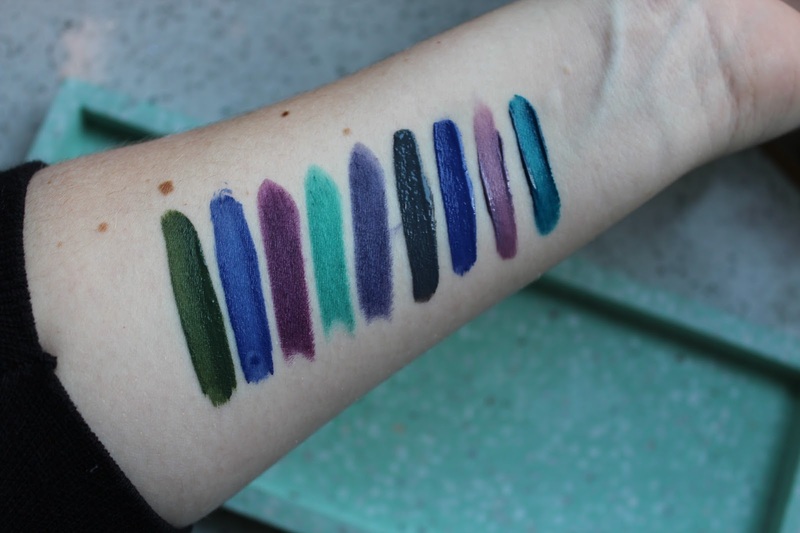 Unfortunately I don't really like the MUA velvets, which upsets me as they come in such a huge range of shades. They set down to a beautiful velvet finish so are amazing for photography and things however they are so incredibly dry. They are very uncomfortable which is such a shame as they are super affordable. That's it for today, I would love to know what your favourite bright lipsticks are! I am kind of frustrated here as when I initially ordered this I picked up nine shades for my palette and nine shades to go in the giveaway palette however one was out of stock by the time it shipped so I'm super sorry about that! 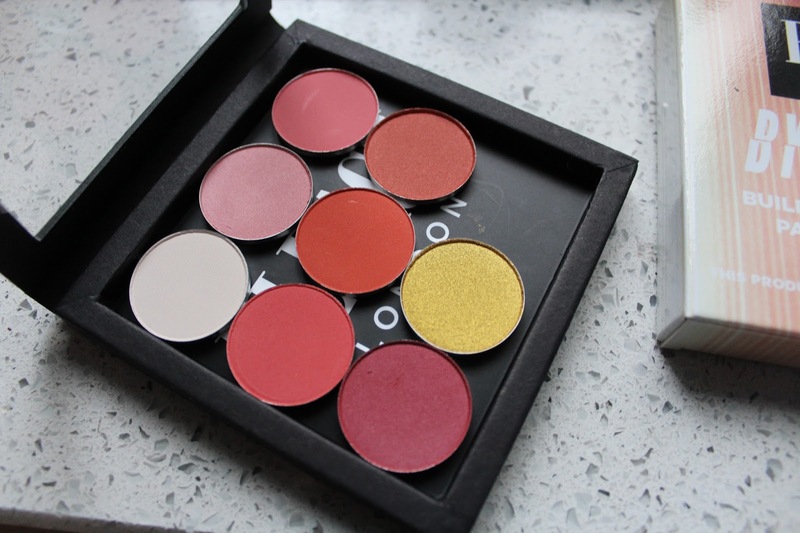 Today I wanted to do a pretty in depth review of the shadows I picked out, if you are a lover of warm tones this is definitely the giveaway for you. I only actually have one issue with these shadows and thats the names. they don't have proper names they are just a mix of letters which is super annoying as it makes it difficult to remember. However other than that I am really impressed with the shadows. 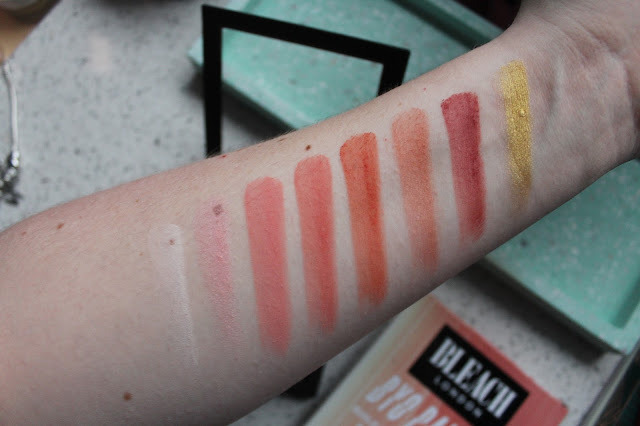 They blend beautifully and have a nice amount of pigment making them easy to work with. The shade range they stock is pretty varied and I'm actually thinking about building a green/blue based palette next. RB 1 sh - This shade is your basic matte white, it isn't the brightest white ever however I am not a big fan of a super intense brow bone highlight. This is definitely enough for me. R SH - this one is a satin finish baby pink shade, it has got a little mauve in it making it a little deeper than your traditional baby pink shade. BP 2 MA - This one is a salmon pink shade with a matte finish. I find this one makes a beautiful transition shade for when I use the deeper oranges in the palette. TD 4 MA - This one is similar to BP 2 MA however it has a more orange tone than a pink one. Again a great transition shade or crease shade when applied heavily. TD MA - This one is your standard matte orange shade, it is quite bright in comparison to something like Morocco by Makeup geek. I think this is definitely one you would want in your collection if you are into brighter shades. TD ME - This one is the other satin shade in the palette. It is actually a very similar bright orange to the shade above however a tiny bit deeper. This one has a beautiful golden sheen and is my favourite lid shade in my palette. ISR 4 SH - This one is a super deep red shade perfect for deepening up a look. I also really loved this shade just smoked all over the lid as it is one of those that appears to sit darker in the crease. GS 3 ME - The final shade in the palette, it is such an intense highly metallic yellow gold. I'm fully aware this definitely isn't to everyones taste however I love it. 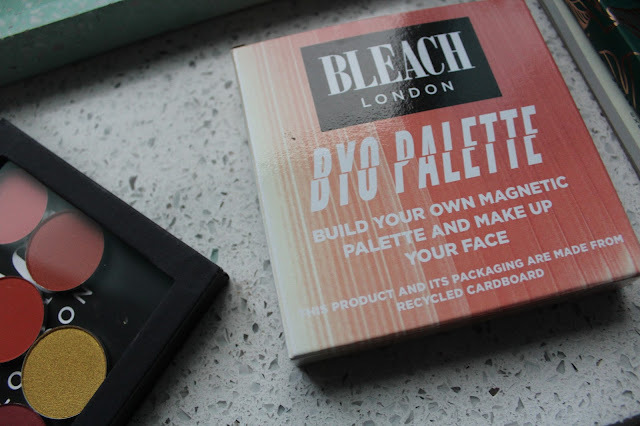 It pairs perfectly with the orange shades in the palette to create a beautiful sunset eye look. 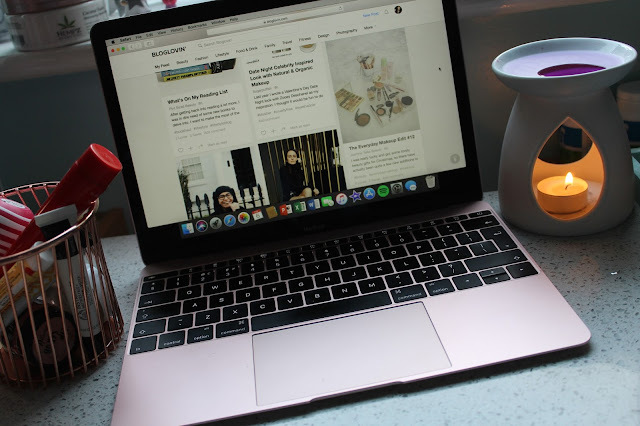 I used to love doing these posts however I got out of the habit, since it's the new year and all that I figured I would try and do these more often as they are a fabulous way to find new blogs. There's a bit of a mix of everything from food to blogging tips so I hope you enjoy these posts! 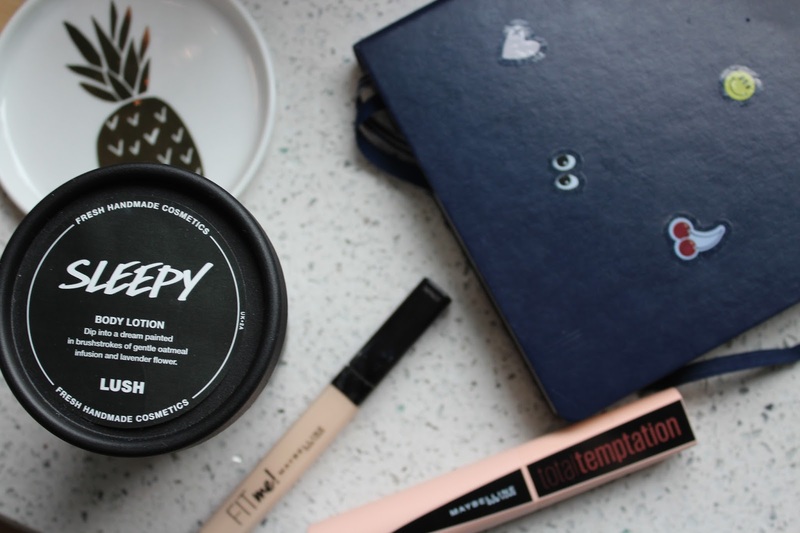 So that's it for this months round up, let me know what your favourite post(s) have been this month!